We live in twenty-first century and it's well known fact that sun bathing is very bad. It dries up your skin, making it look old and wrinkly, and I don't even want to talk about skin cancer. With so much information at our disposal people still do it, and I'm not an exception. However recently I started looking into other ways to get that gorgeous glow, and I found faster and better solutions: spray tan and self tanner. I know this isn't a secret, but if you are like myself you probably a little scared to try something new and not traditional. That's totally fine and I got you covered. 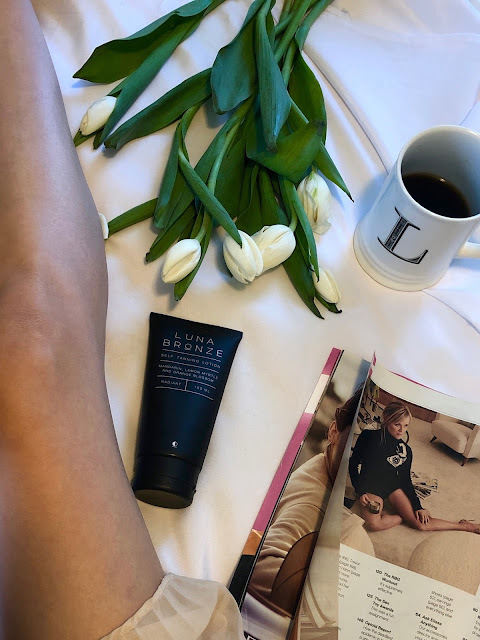 You can read my experience with a spray tan here: Spray Tan, and I will tell you my thoughts on self tanner in this post. Ten years ago my mom was going to the wedding and she planned to wear gorgeous black top with sequin details. My mom's skin tone is fair, and it was a beginning of summer, so she decided to use self tanner. First of all she didn't use mitten and second her lotion was white, so she was applying it more than she needed, because she didn't see an instant result that she was hoping for. Well long story short, she didn't wore that top to the wedding, and she spent long time in the shower scrubbing her brown/orange arms (quality of the self tanning lotions back than was much worst than today). Probably, because of her experience it took me so long to use self tanner. However, I took long time to review the product I used and I'm very confident in it. 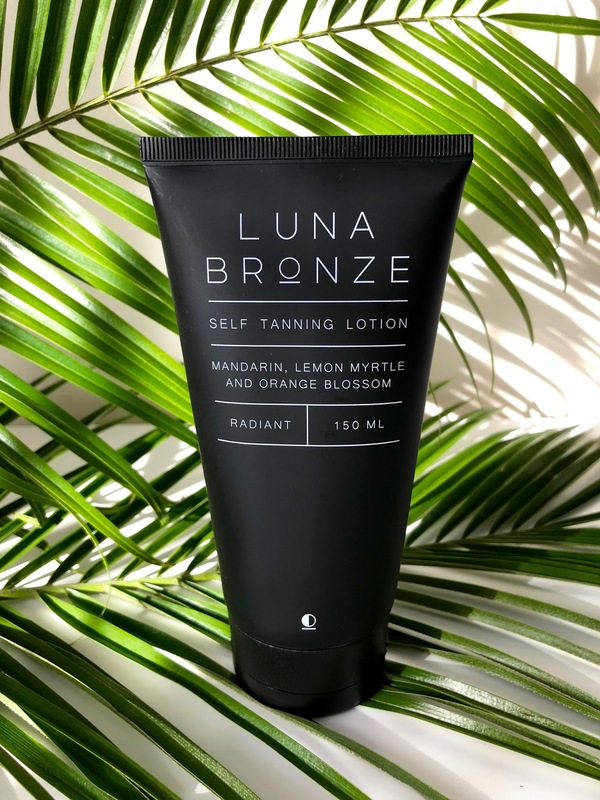 Luna Bronze products are made from premium organic, natural and naturally derived ingredients. It was design by one of the co-founders who beat skin cancer. Her idea was to create a product that could provide a safe, sunless tan year around and she succeeded! 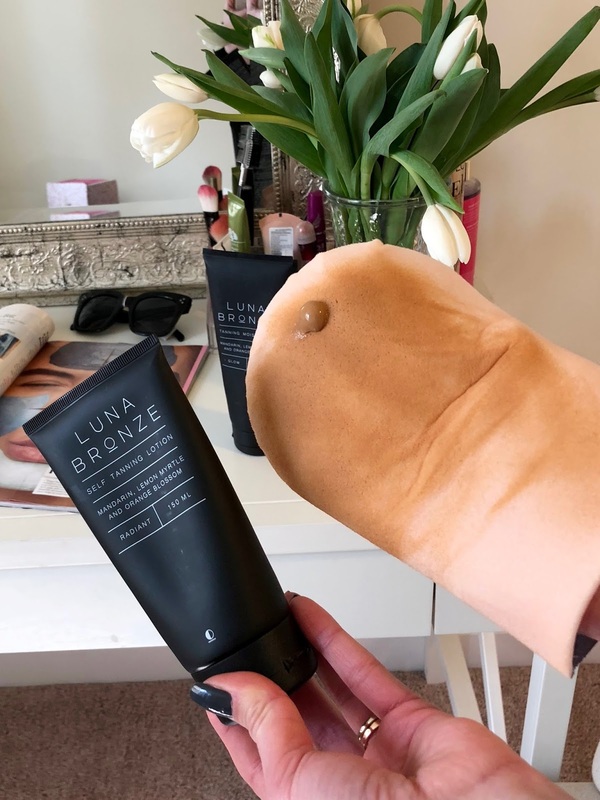 My biggest tip is to use self tanning mitten. I purchased mine on Amazon and it worked great. Click here to purchase: St.Tropez Aplicator Mitt. I washed it after use, and it's good as new. So without farther a do I present to you photos of my gorgeous, natural looking tan. Keep in mind that you wouldn't be able to see my legs on a white sheet, before I used self tanner. 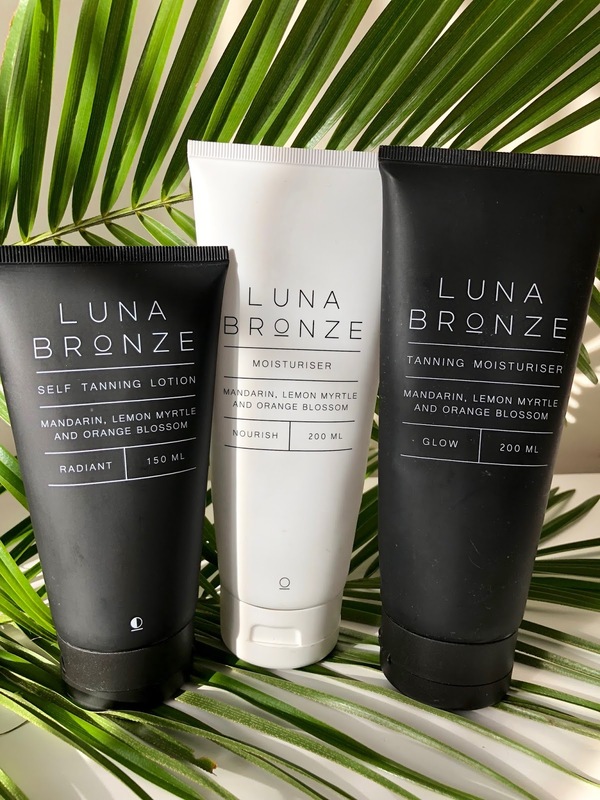 I also love this brand so much that I have a whole collection, which includes: Nourish - daily moisturizer, Glow - gradual tanning moisturizer and Radiant - self tan lotion. Whether you are going to buy all three or just one you will not regret it! Happy Glowing Skin, my friends!